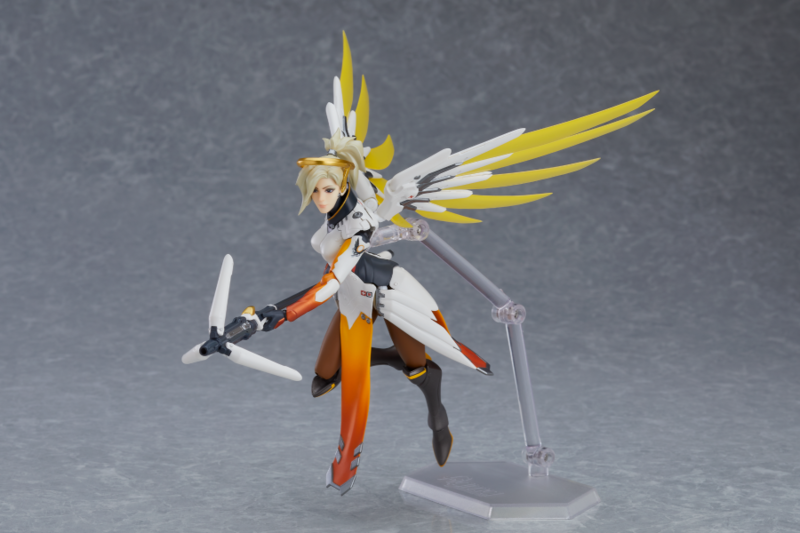 Good Smile Company, the Japanese toy maker responsible for the Nendoroid and Figma figurine series, just added Mercy to the list of Overwatch heroes to receive a Figma action figure. Figma figurines are notorious for their specially designed joints and flexible plastic, which allow them to be placed in all kinds of poses. Standing approximately six-inches tall, the Mercy action figure will come with a variety of accessories, including two different faces, her staff and pistol, and eight different hands. The end of Mercy’s Caduceus Staff can be opened and closed, and the figurine will come with additional attachments for her wings to make it appear as though the hero is flying. The latest figurine is available for pre-order for $90 from the Blizzard Gear store website. The exact release shipping date has yet to be announced, although Mercy’s Figma action figure is expected to release around early 2020.